Here Sri Bhairavar is worshipped by childless couples to be blessed to get a baby. Many childless couples perform pooja here and are blessed with a child. Ramagiri village is situated in Andhra pradesh, about 95 kms northwest of Chennai, en-route to Puttur from Uthukkottai after crossing Suruttuppalli and Nagalapuram, on the right hand side. This small yet beautiful temple is situated under a small hill amidst picturesque view. The deity here is Sri Vaaleeswarar and Goddess Sri Maragadhambikai. Though this is a Shiva temple, the Pradhana Murthy (Primary Deity) here is Sri Kala Bhairavar, also called as Santhaana Praapthi Bhairavar. There is an interesting story behind this temple. In Ramayana, after defeating Ravana, Rama reached Rameswaram, on his way to Ayodhya. As he killed Ravana, he was caught by Brahmahathi Dhosha. One will suffer from this Dhosha, if he kills a Brahmin. Ravana, though being a demon king, was a Brahmin as he was born to a Rishi. Rama was advised by His Guru Sage Vasishtar to get a Shiva Lingam from Kaasi (Varanasi) and perform poojas to Lord Shiva to get relieved from the Dhosha, so that he can proceed to Ayodhya to take charge as the king. Rama took his Guru’s advice and sent Anjaneya (Hanuman) to bring a Shiva Lingam from Kaasi Kshethra. Anjaneya took the order of his master and went to Kaasi and brought a Shiva Lingam. On his way back, he was passing through this place called Kaalinga Madu Karai or Thirukkaarikkarai, where Lord Kala Bhairavar was present. Kala Bhairavar saw Anjaneya with the Shiva Linga and wanted Lord Shiva to take abode in His place here. He wanted to play a trick for His dream to come true. He requested Lord Surya (Sun God) and Vaayu (God of Air) for cooperation. Suddenly Sun started shining heavily emitting high temperature and dry wind blew all over. Anjaneya became thirsty because of this act. He landed up there and saw a boy wandering with his cows who was Lord Kala Bhairava in disguise. He enquired the boy for any water source nearby. 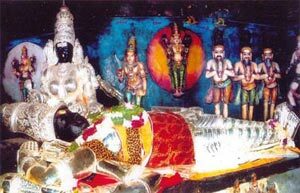 Lord Kala Bhairava prayed to Mother Ganga (Ganges) and a water pond hit Anjaneya’s sight. 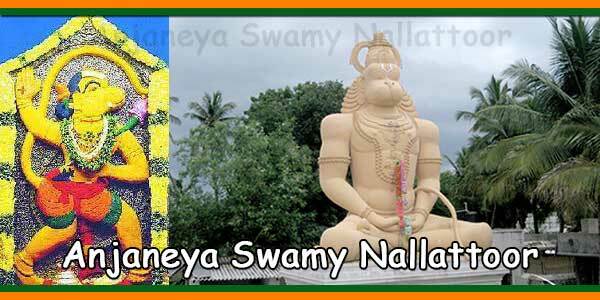 Anjaneya requested the small boy to hold the Shiva Lingam till he comes back as it should not be kept on the ground. The boy agreed and while Anjaneya was quenching his thirst, the boy told Anjaneya, that the Shiva Lingam was too heavy for him to hold anymore and kept it on the ground and went off. Anjaneya came back and saw the Shiva Lingam on the ground. He tried lifting hit but he couldn’t. He roped around the Shiva Lingam with his lengthy tail and tried to pull it up using all his strength. The Shiva Lingam tilted a bit but never came off the ground. Anjaneya realized that it is impossible to lift it and started to Kaasi again to bring another Shiva Lingam for Lord Rama. When he started, he felt that the atmosphere was normal. Suddenly, the heat of the Sun came down and there was cold breeze. He understood that it was a trick played by someone. Out of anger, he cursed the pond to become a hill. The pond became the hill here, on which a Murugan Temple is situated now. The Shiva Lingam which was brought by Lord Anjaneyar is situated in the temple at the foot hill. 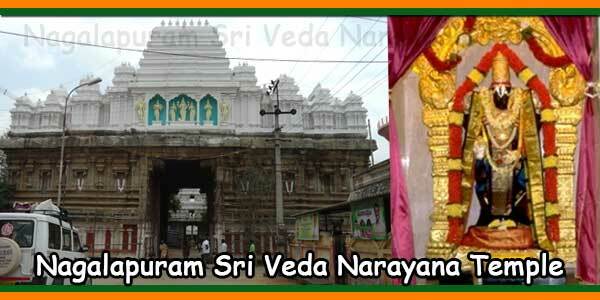 This beautiful temple is under Archeology department of Andhrapradesh now. Here even today, the Shiva Lingam is seen in a tilted position towards North, as it was pulled by the tail of Hanuman. Also there are marks of the tail on this Shiva Lingam. Another unique feature of this temple is Lord Anjaneya is present in front of the sanctum between the deity and the Nandhi facing Lord Shiva in a praying gesture. Such Shiva temple is not seen anywhere else. The temple pond which is situated in front of the temple, is called Nandhi Theertham. There is a small Shiva Lingam with a Nandhi nearby. Nandhi’s front half is seen protruding from the wall of the pond. The water originating somewhere from the hill, reaches a small well and from there it passes and comes through this Nandhi’s mouth and flows into the pond. Native villagers say that they have never seen this water flow stop, since their memory. Also they are not sure about the source from where the water reaches Nandhi. Also one can see Sri Bhairavar only in the praakaarams of Shiva Temples. But here, Sri Kaala Bhairavar has a separate shrine located in such a way that one has to visit him first before proceeding for the dharshan of Lord Shiva. As the Shiva Linga here is brought by Anjaneyar from Kaasi, it is said that by worshipping Sri Vaaleeswarar here, one gets the benefit of worshipping Lord Shiva of Kaasi. Sivaraathri and Pradhosham days are celebrated well here. Festivals Celebrated: Sivaraathri, Pradhosham and Aadi Kirthika days.